Before you know it spring & summer weddings will be here. In the last few years a lot of brides have been decorating with vintage décor. 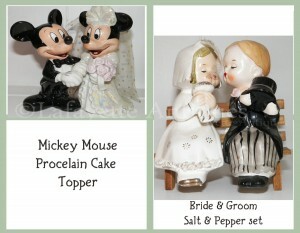 For the Mickey & Minnie Mouse lovers this is an adorable cake topper. Have an awesome day!